Our adventure as a studio started about one year ago but we never really introduced ourself. 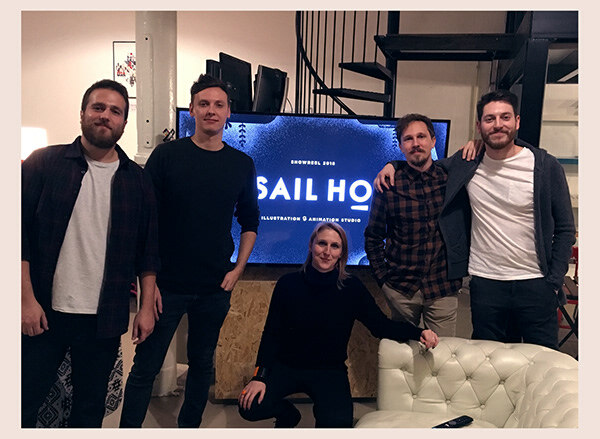 We are Sail Ho Studio (Matteo Goi, Chiara Vercesi, Daniele Simonelli, Mirko Camia, Davide Mazzuchin) and it’s right about time to celebrate our first anniversary showing you the work we’ve done for our first solo exhibition. 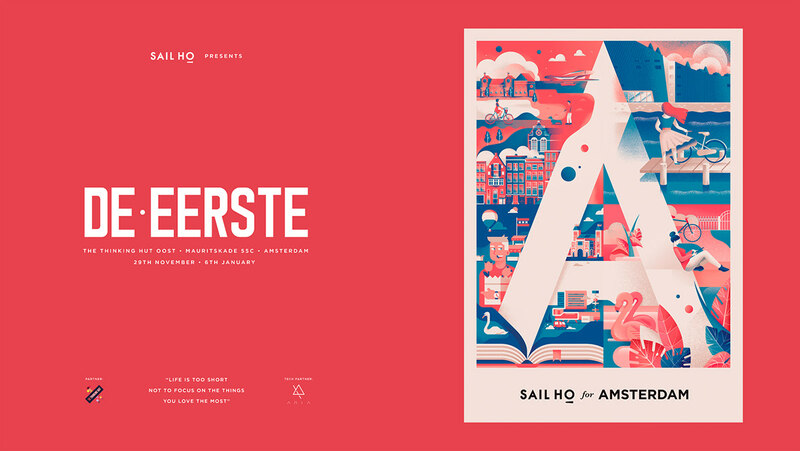 De Eerste (the first, in Dutch) took place at The Thinking Hut in Amsterdam, where we’ve been invited to exhibit our illustrations from the 28th November 2018 to the 6th January 2019. 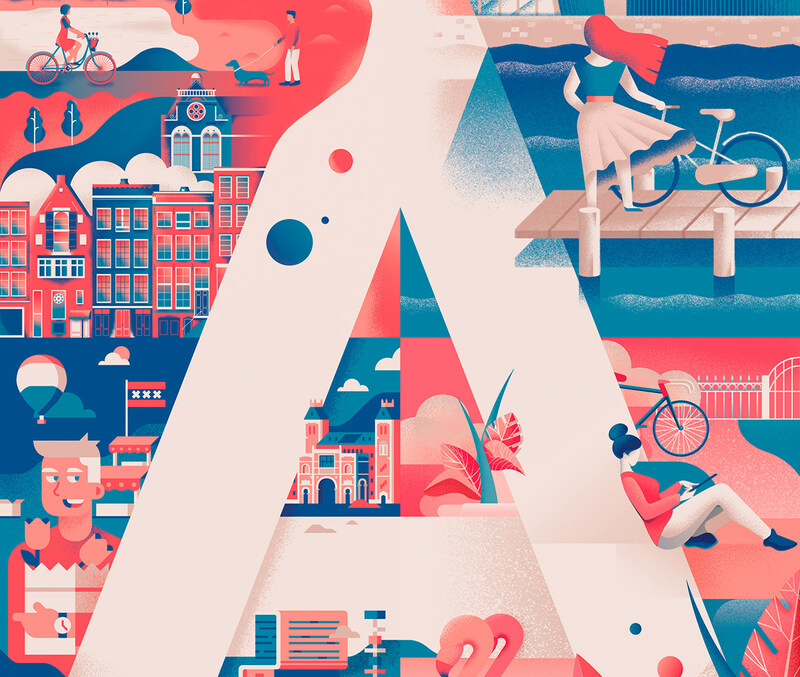 For the event, the whole studio joined hands on a single piece, an homage to the city of Amsterdam, which was used as poster of the opening. Each of us illustrated a corner and then Matteo brought the pieces together in a loop animation. Since we are not just an illustration studio, one of our main concerns has been how to keep the animation/motion design part visible for the whole exhibition, in a place where, beside the opening event, people go to work and can not have videos playing in the background all day long. 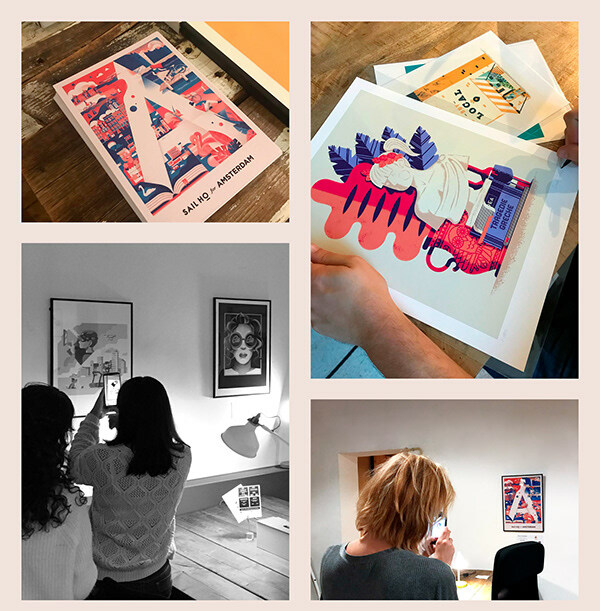 There’s where Aria, augmented reality platform and our tech partner for the event, came to the rescue offering the people the possibility to see some of the animated pieces with Aria app. It was fun looking at people going around seeing the exhibition coming to life through their cellphones. 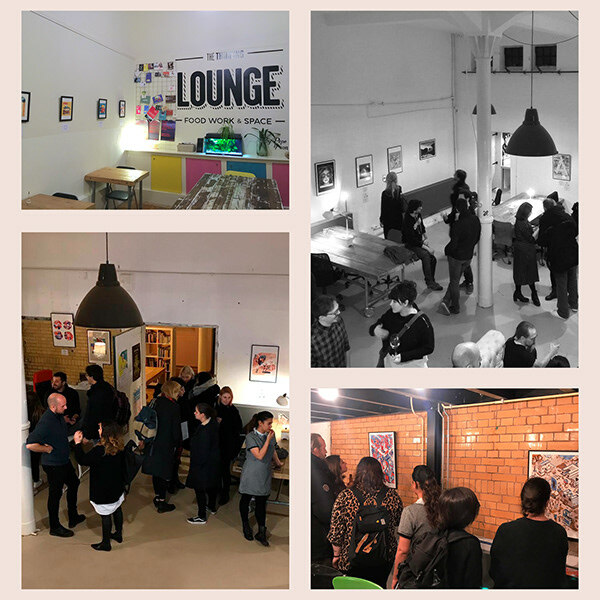 Thanks to everyone who joined us at the opening and a toast to the next exhibition to come. Cheers!